Things have been quiet, especially at the bank. We’ve lost backing/funding for not one, but two projects due to nothing other than the sucky economy. These sorts of things send us back to the drawing board of course – looking for ways to adapt the project, adjust the budget or move on to other areas etc… anything but stop. 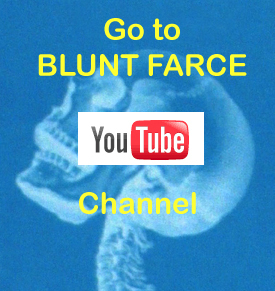 Here at Blunt Farce, we never stop – and we never will. People are asking so I’ll tell you: YES, work continues on Episode 4 of Bud Fallbrook… honest it does. We did get sidetracked by a few things for a couple of months, but at least those were all technical issues and not financial ones. We’re now in the animating phase, then the Evil Twine guys will have a go at the music and Sound FX and then we’ll post it, as soon as we possibly can. Obviously it wasn’t our intent to take so long between episodes. …and in other news we’ve got to plan a trip to the Austin Film Festival next month (we’ve been ‘invited’ – sweet) and, possibly: a trip to Switzerland for a screening this Winter… We’ll share the details if/when WE know them. That’s it from here. Thanks for the interest. Keep sending in the emails etc.